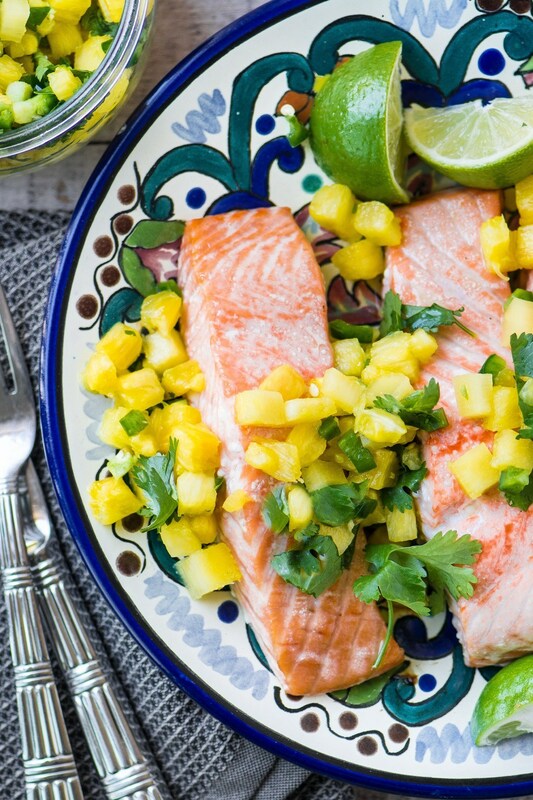 Salmon with Pineapple Jalapeno Salsa ~ this is a healthy meal for a warm night, and the spicy fruit salsa can double as an appetizer ~ just add chips! Pile the pineapple, jalapenos, and cilantro in a bowl and squeeze the juice of 2 limes over it all. Give it a good toss. Cover and refrigerate. Serve the salmon immediately, topped with the salsa. Note: you will have extra salsa.